United Decorators carries the most colorful wood blind samples from traditional white to grays and modern, rich stains made from 100% basswood. Choose from various paint colors, stains and slat sizes to match your furniture or overall home or office decor. 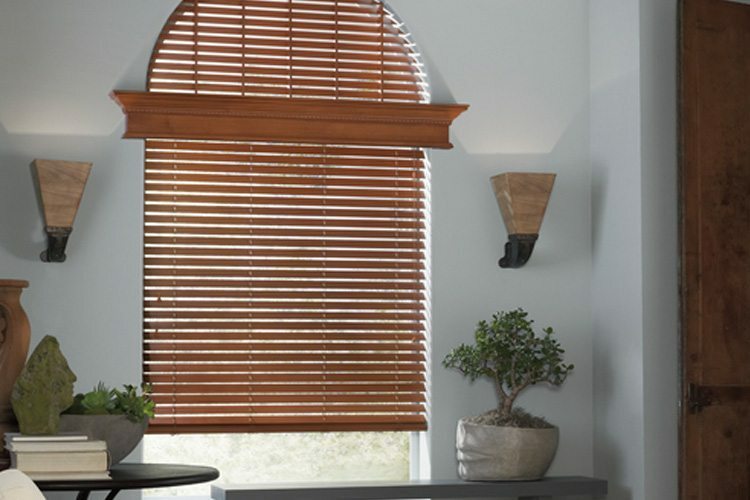 Wood blinds have exceptional beauty and style suitable for homes or office environments. 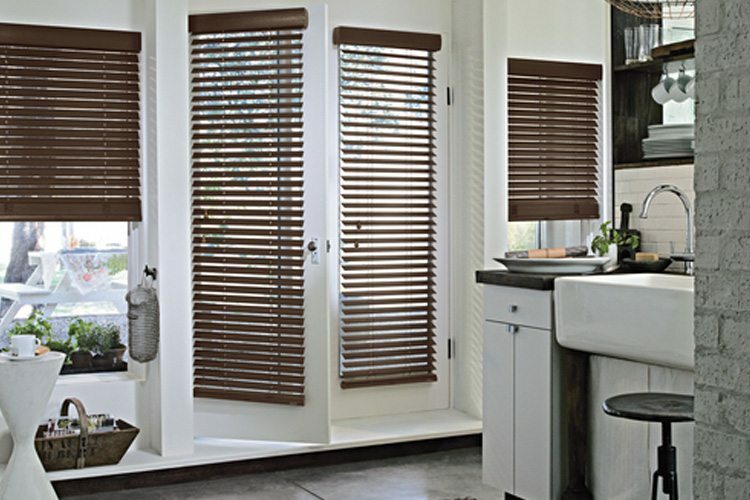 Wood blinds look great in the kitchen, bedroom, child’s room, bathroom, dining room, living room, den or office. 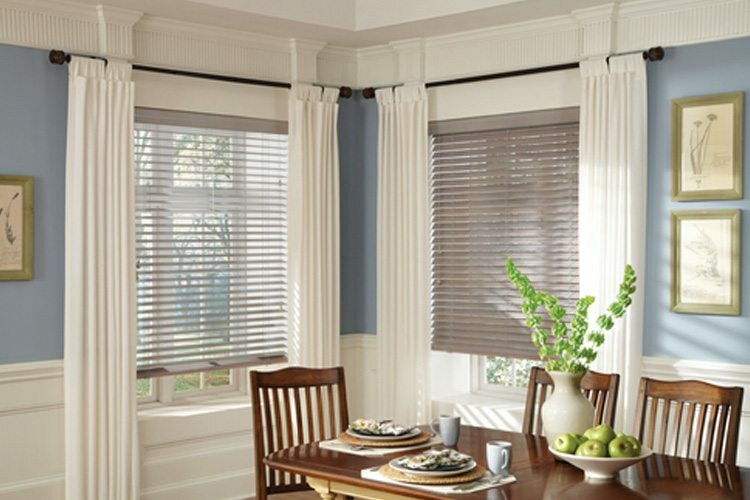 Many homeowners choose wood blinds for their versatility. One of the many reasons we stand behind the Hunter Douglas brand is for their emphasis on the combination of natural beauty and sustainable design. 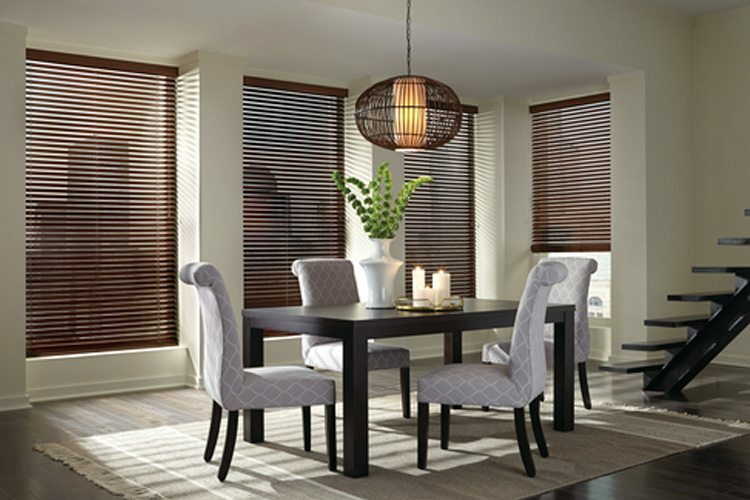 Hunter Douglas hardwood blinds come from responsibly managed forests. Faux wood blinds are also available and they are guaranteed not to crack, warp or fade. 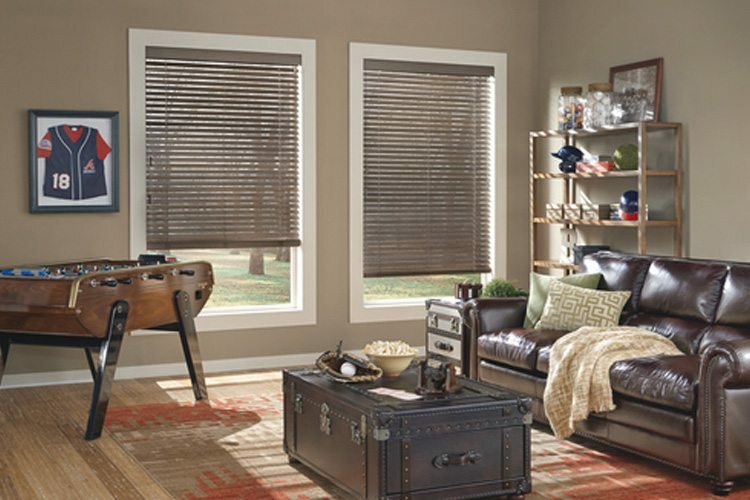 Faux wood blinds are practical in rooms or areas with high moisture or humidity. If you have an obstruction such as a door handle, window crank or an air conditioner we can create a cut-out to cover any architectural elements or design challenges.